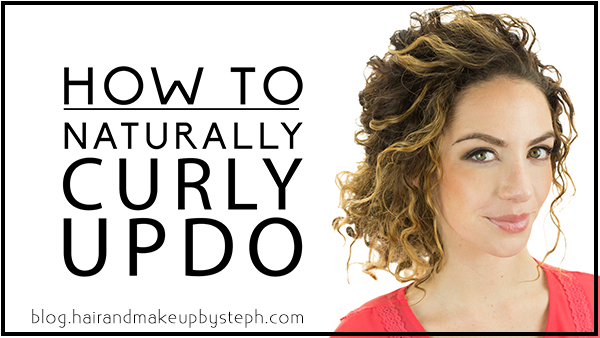 This week's video tutorial is for all the curly hair girls out there! 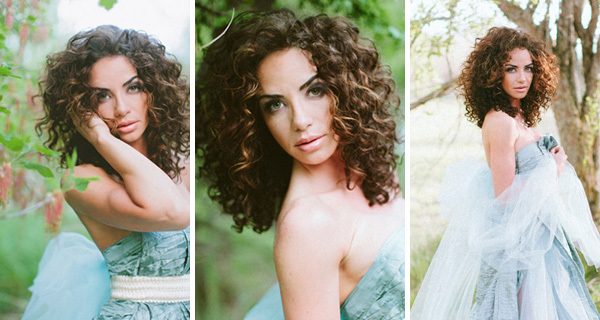 Styling naturally curly hair takes skill, and she has some AWESOME tips for how to master it. "When I get in the shower I make sure to take a comb. When conditioning, I comb my hair a few times and then part my hair how I want it parted for styling. I then rinse the conditioner out, holding my part so that it doesn't get messed up. After I get done rinsing I do not brush or run my fingers through my hair because I don't want any of my curls separating, resulting in frizz. I towel blot my hair and again do not separate the curls (they may start to separate on their own and this is fine). I then spray quite a bit of leave-in conditioner all over my hair. I then take some Bumble and Bumble Curl Conscious Curl Creme on my fingers, section off a piece of hair that is the width of 2-3 fingers, and starting at the scalp I work down the shaft of the hair twisting and wrapping and twisting it around my fingers, so when I reach the bottom of the hair I am left with a perfect ringlet. Repeat with the rest of your hair. When I finish I have about 20-25 ringlets (I have really thick hair). Then let air dry (you will look and feel like Shirley Temple). I usually let air dry for 1 1/2-2 hours just depending on how much water I can get out with the towel. When my hair is just about dry (still a tiny bit damp), I blow dry (I blow dry on low to reduce frizz). When I blow dry I don't use a diffuser, my curls are already curly enough on their own! I usually flip my head over and blow dry upside down that way so that the curls get some volume and lift off of my head. As you blow dry start to separate the big ringlets into smaller ones. Blow dry until it's 100% dry. -Do not comb or brush your natural curls, and try to run your fingers through them as little as possible. The less you touch and mess up the curls, the better they are going to look. -Take clean sections, and be gentle with the hair as you move it around. Once again, the less you mess with the curls, the less frizzy they will be. 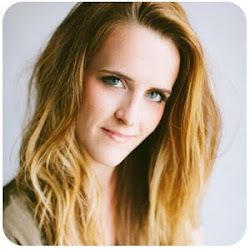 -Go for loose, voluminous styles. 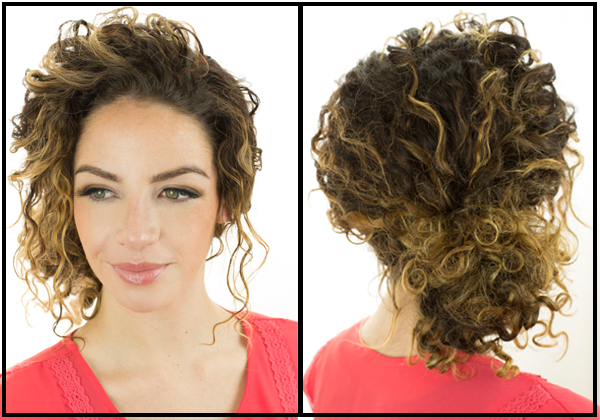 Styles that are too tight or intricate won't look right on naturally curly hair. -For added definition in your curls, use a 1/4" wand (or wrap it around a curling iron) to loosely curl any hair that is frizzy or has lost it's curl. Never curl your natural curls with a flat iron or clamp them inside a curling iron. Those types of curls are too smooth and they won't blend in with your natural curl. Watch the video below for a simple and fast updo on naturally curly hair, and check back next Tuesday for another tutorial!